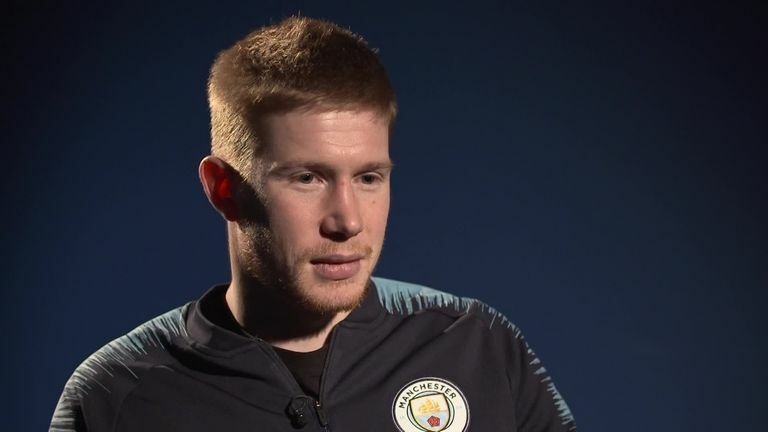 Kevin De Bruyne believes the pressure Liverpool are under to win a maiden Premier League crown is equal to the pressure Manchester City face have to defend the title. City trail leaders Liverpool by five points but the gap could have been seven had they capitalised on the champions' shock defeat at Newcastle. 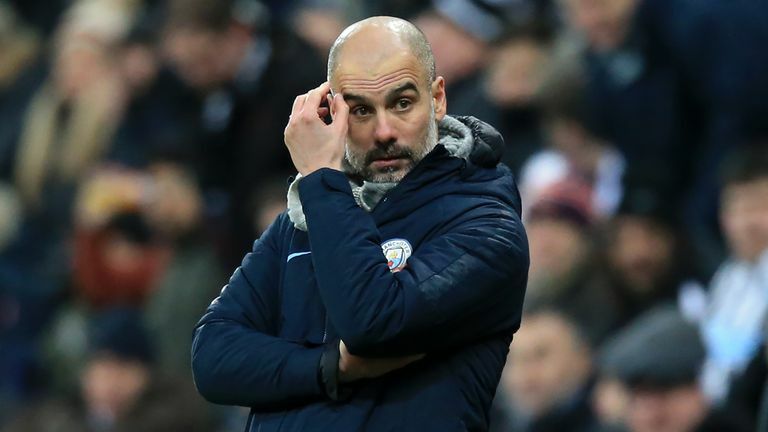 But with Leicester claiming a 1-1 draw at Anfield, City can cut the gap to two points if they beat Arsenal on Super Sunday before Liverpool's trip to West Ham on Monday Night Football. "I think Liverpool will be under some pressure because they have not won it for that amount of time [29 years]," De Bruyne told Sky Sports. Tuesday's defeat at Newcastle was City's fourth of the season, twice as many as they suffered in last season's record-breaking campaign. "This year it is a little more difficult because teams are more compact, and their plans are probably better than they were last year," De Bruyne explained. "To do the same as last year was nearly impossible, we've been on a good level but it's probably below what we were last year, but we are trying to get to the level we were at last year. "Last year we would have won or drawn these games with late winners, but we were not able to do that this year. That's just the way it is, the level is so high from every team that the margin of error is so small. "If it was last season with the points we have now, we would be first, but somebody is better than us at the moment, so you have to say congratulations. We know how hard it is." "I personally will go until we cannot mathematically," he added. "We know we are behind. Seven points, 14 games, it's a big margin but there are still points to play for. "You have to go game by game. I didn't watch the Liverpool game but was happy when I saw they drew 1-1, like they were happy when we lost. "We try to do our best but sometimes the best is not enough, and you have to take it. If Liverpool win the title with 98 points, congratulations, they will have done well. "But there is still a lot of things to fight for. People may be down but there is still the FA Cup, League Cup, Champions League, plus we are still fighting in the league - that's an amazing position to have at the beginning of February."